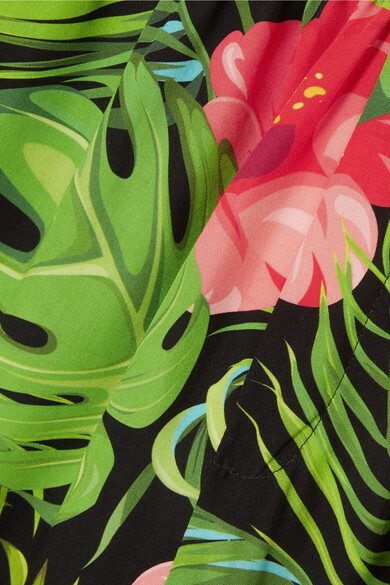 BLOUSE's shorts are made from crisp poplin patterned with a tropical print of flowers and palm fronds. They're topped with a flexible elasticated waistband and have side pockets to slip your phone and a spare scrunchie into. 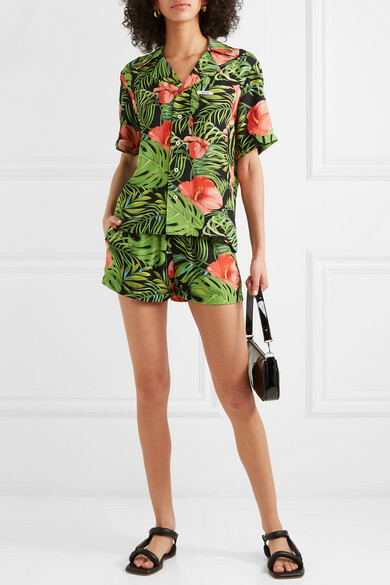 Wear them with this coordinating shirt or one of the label's playful slogan T-shirts. Shown here with: BY FAR Shoulder bag, Nanushka Sandals, 1064 Studio Ring, Leigh Miller Earrings.